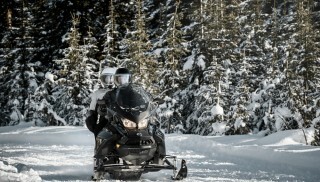 If you want to explore Yellowstone National Park on a snowmobile this upcoming winter, the time to apply is right now. The lottery for non-commercially guided snowmobile trips for the 2018-19 season opens Wednesday, August 1. Applications can be submitted through August 31 and lottery winners will be notified some time in September. Current regulations allow just one group of five snowmobilers daily through each of the park’s four gates. There is a $6 fee tacked on to each application. If you are lucky enough to secure a permit, they will cost $40 per day with a three-day maximum for each trip. 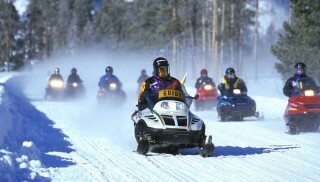 You can learn more about Yellowstone National Park snowmobile guidelines here. Everyone who applies for a non-commercially guided snowmobile permit must have a valid driver’s license and must complete the Yellowstone Snowmobile Education online training. Another consideration is that every snowmobile that enters Yellowstone must be on the new Best Available Technology (BAT) list. You can find all of the eligible snowmobiles here.